Stonecrest Pavilion is located just off of I-20 at the Turner Hill Road Exit 20 miles east of Atlanta in DeKalb County, GA. The Center is part of the 1,100 Acre Mixed Use Master Planned Stonecrest Mall which serves residents from Atlanta to Augusta, Athens and all along the eastern corridor of Georgia. The former HHGregg anchor space contains 30,400 SF with 42,000 Contiguous SF available. The center has excellent visibility and signage attracts the attention of traffic traveling from both directions to the Mall. The site offers 213 +/- parking spaces. Stonecrest Pavilion is a part of the 1,100 Acre Mixed Use Master Planned Stonecrest Mall Property. Stonecrest Mall is classified as a Super Regional Mall and contains 1.3 Million SF of Retail with 120 stores and is anchored by Sears, Dillard’s, and Macy’s. Also attached to the mall is an AMC Movie Theater location. It services 11,000,000 shoppers per year. There are approximately 450,000 residents within 10 miles of the site. 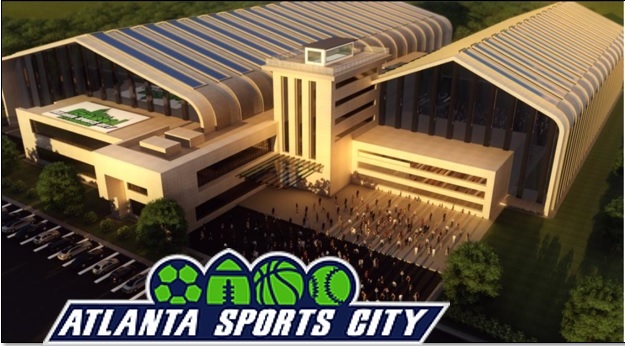 The Stonecrest Overlay is home to the new Atlanta Sports City at Stonecrest, a professional soccer stadium and sports facility.